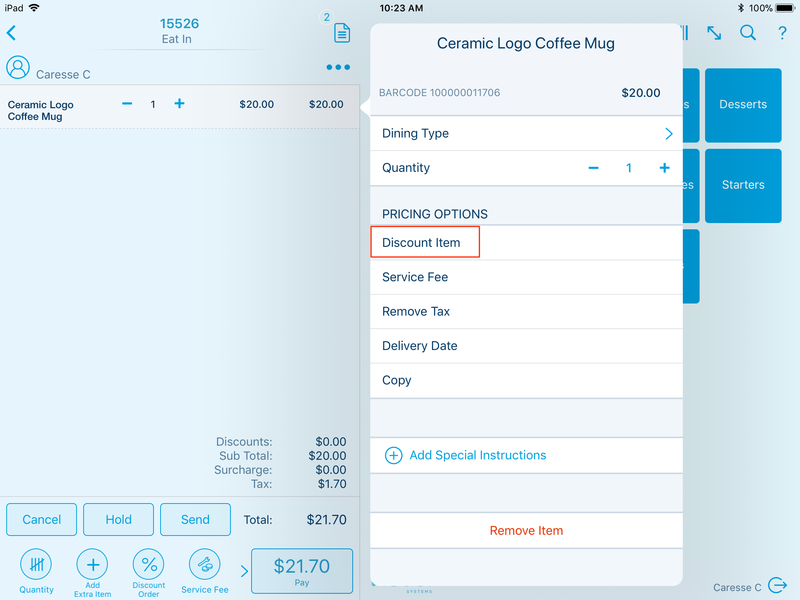 On the Point of Sale, you can apply a discount to the a selected item, or the entire purchase. To learn how to set up a discount on the Management Console, click here. 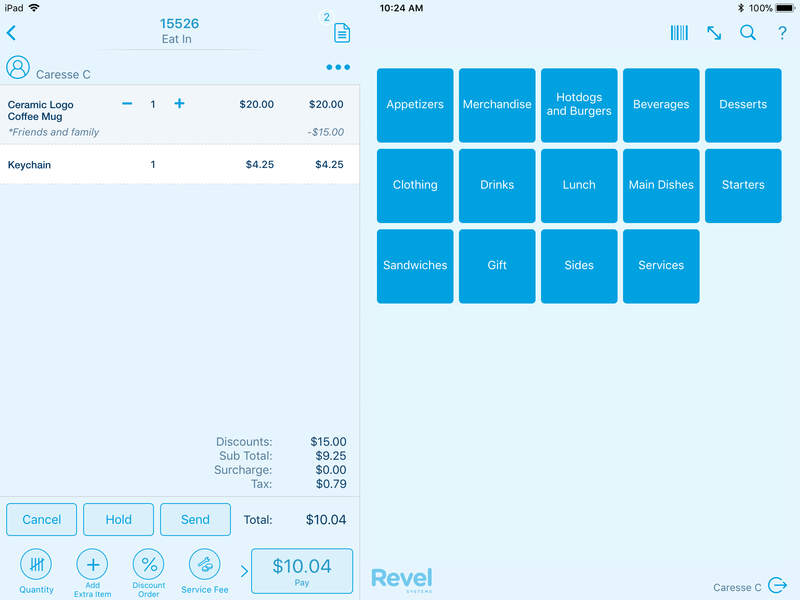 On the Point of Sale, begin by adding an product to the order screen. Next,on the order screen, tap the Name of the item you would like to discount. You will then see the order details window appear. 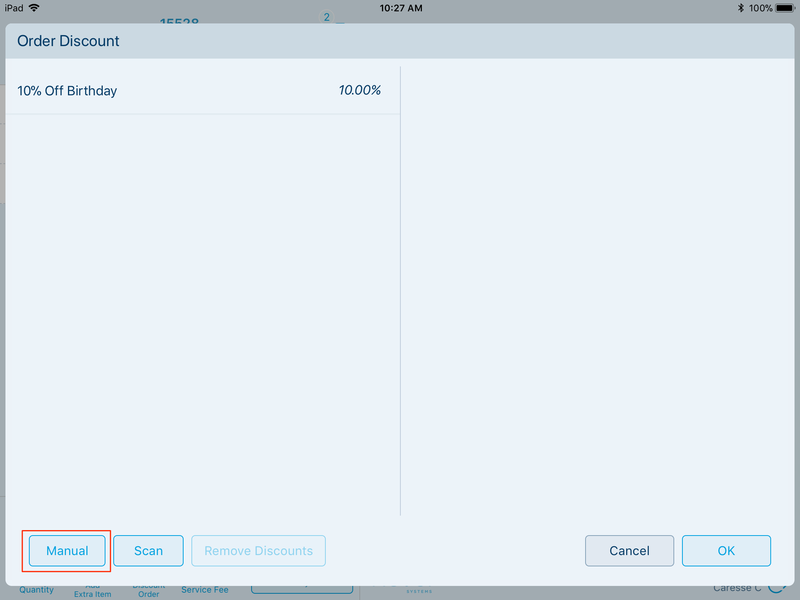 If a desired discount has been created on the management console, you can tap the Discount Name. 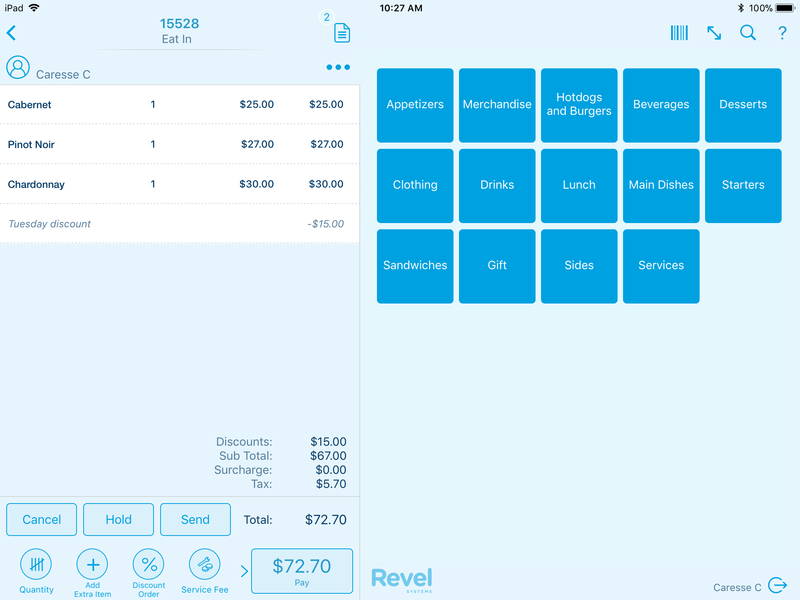 If you would like to create a manual discount, tap Manual. 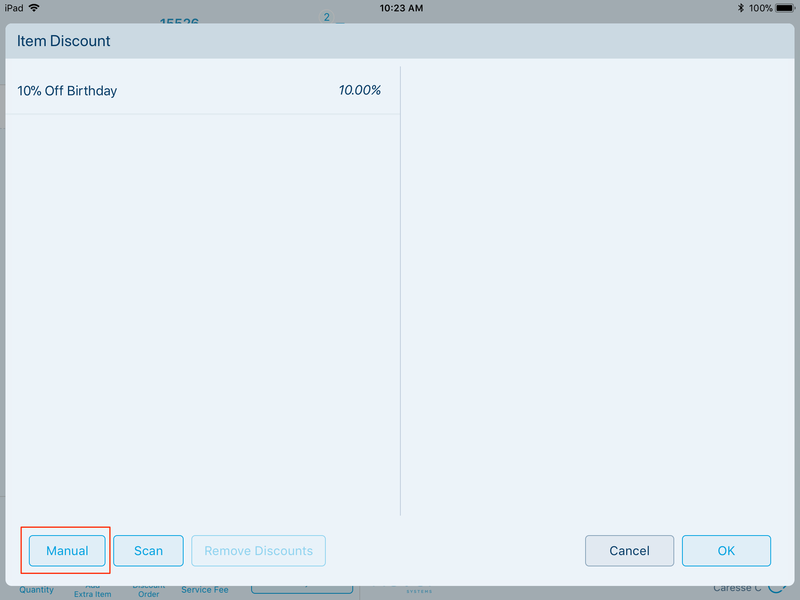 Then enter the Value, Discount Type, Reason, and whether tax is applied pre-discount or post discount. Then click Okay. You will see that only the item you selected is discounted from the order. Start by adding your desired products to the order screen. On the bottom left corner, selection the action icon for Discount Order. Once again, if a discount has been created on the management console, you can tap the Discount Name. 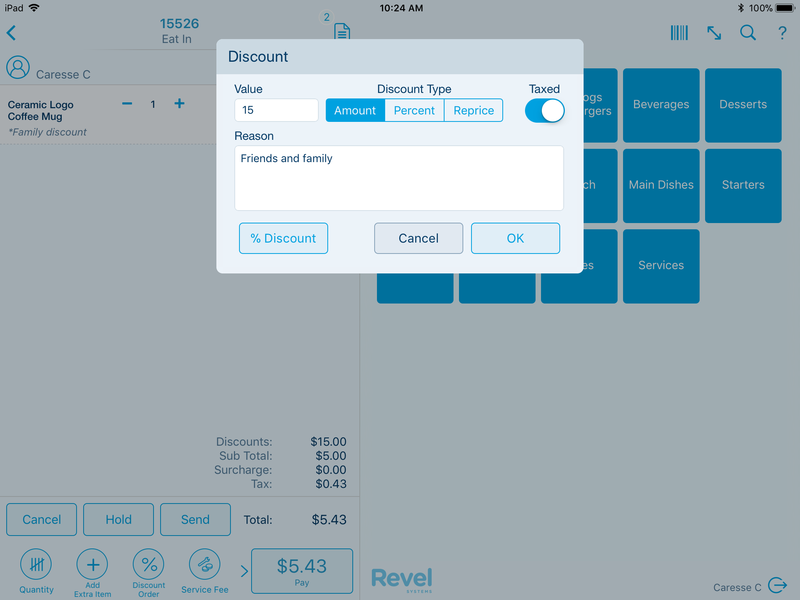 If you would like to create a manual discount, tap Manual, then enter the Value, Discount Type, Reason, and whether tax is applied pre-discount or post discount. Then click Okay. You will see that the entire order is discounted by the value you selected.